This kit fits the CYMODEL Hawker Typhoon CY8008 (245cm). The huge 85cc Typhoon from CYMODEL. 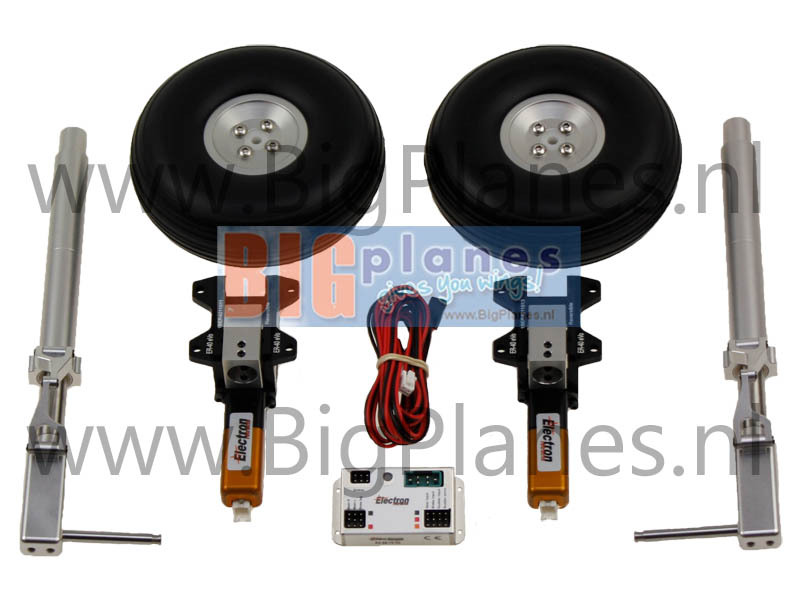 Electric retract system for the CYMODEL Hawker Typhoon rc model airplane. The kit includes retract units, struts and tires with aluminum hubs.